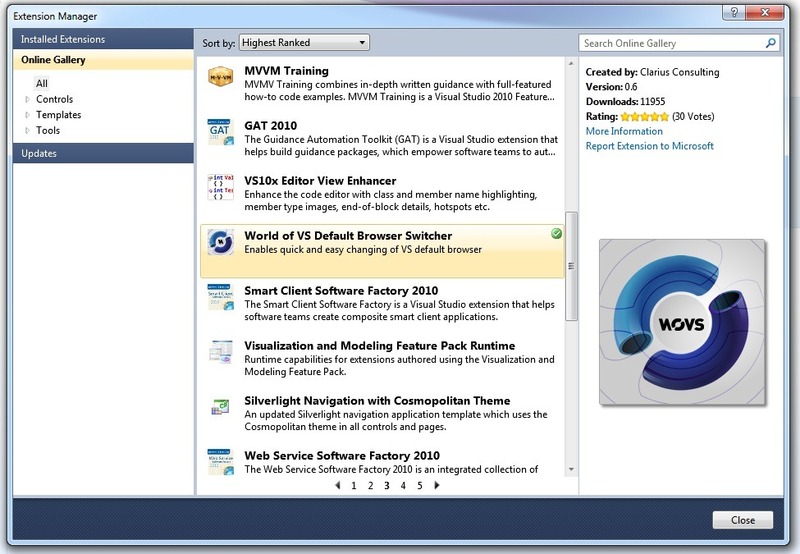 Browsing Visual Studio 2010 extension manager Online Gallery I found this great tool for switching default browser for debugging web applications. 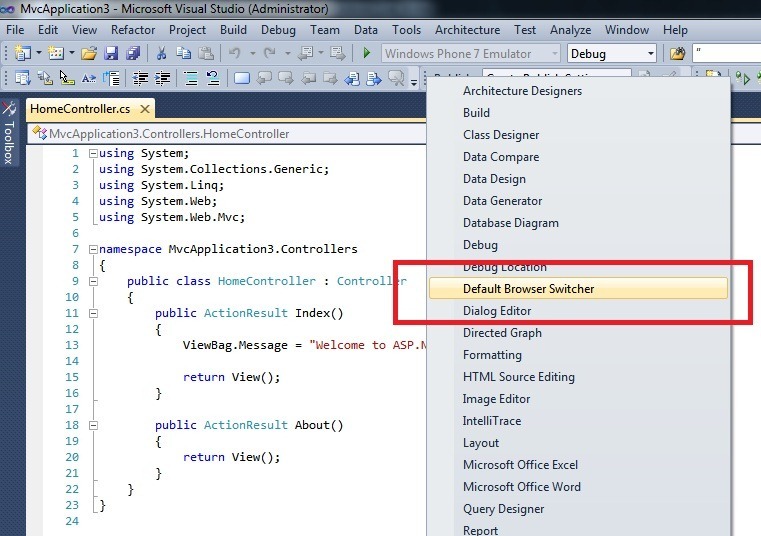 After installing this plug-in can be used from Visual Studio tool bar pane. Once activated just click on browser icon you want to use for debugging and enjoy. I found this very useful especially because this tool works great with ASP.NET MVC applications apposed to right clicking on page file and choosing “Browse with” option.